Myth #1: The inspector found mold. I probably won’t sell my property. Myth #2: I’ve got a handyman who can take care of it. Myth #3: Mold or mildew remediation companies charge way too much. Myth #4: Just bleach it. Myth #5: Mold or mildew is the next asbestos. When it comes to selling or buying a home, mold or mildew can easily rise to the top of the list of reasons why an interested buyer might walk away. But if you know a reputable mold remediation company, mold or mildew shouldn’t even enter the negotiations. Mold or mildew is manageable, and by eliminating the source and exercising a few systematic steps to remove mold or mildew, it should not get in the way of a sale. Call a professional, certified mold removal company to assess the situation and provide a solution. Handymen are great. They can do a lot of jobs around the house… but mold or mildew remediation isn’t the same as fixing a leaky faucet. It takes a certified professional to do it right. If mold remediation is not correctly performed according to nationally recognized guidelines, not only can the entire home be contaminated, but the entire project may have to be re-done, causing both inconvenience and duplication in cost. Improper mold or mildew cleaning techniques can also put your family at risk. Hiring a certified mold professional will not only guarantee a mold remediation protocol specific to your needs, but will ensure the mold or mildew problem is removed safely, quickly and effectively. Have you ever heard the saying “you get what you pay for?” We all have, and it’s typically true. Hiring a skilled mold remediation contractor to eliminate a mold or mildew problem may not be the cheapest item on the repair list, but it will be one of the most important. Contractors cannot properly remediate a home or building by using quick, low-cost measures. Mold remediation done properly is an extremely detailed process, and takes time and expertise. Professionally credentialed companies have been certified in proper inspection and mold or mildew remediation techniques, and will typically cost a little more because they are performing the cleanup right… the first time around. We all know how to get rid of mold or mildew, right? Just clean it with bleach! What you might not know is that most chemicals, including bleach, have been proven ineffective against eliminating mold or mildew in the long run. Contrary to popular belief, when you apply bleach to kill mold or mildew on a porous surface, (i.e. wood, drywall, grout, carpet, etc.) it actually facilitates mold or mildew growth. The chlorine molecules that stay on the surface only kill a fraction of the mold or mildew, while the water in bleach (bleach is mostly water) sinks into the material, promoting growth. So, what is the best way to treat a mold or mildew problem? Don’t use bleach… call a mold specialist! Judging by the number of mold or mildew related claims and the increased media coverage, some might think mold or mildew is the next asbestos. If you think the same, you should consider these facts: Asbestos is manufactured… mold or mildew is not, it is an organic material. Builders put asbestos inside buildings… mold or mildew grows naturally in our environment. Mold or mildew can be prevented through proper home maintenance… asbestos cannot. Almost every breath we take includes mold or mildew spores… not asbestos. There is a lack of consensus in the medical industry linking mold or mildew to specific medical ailments… unlike asbestos. There are no federal guidelines for permissible mold or mildew exposure limits… there are for asbestos. 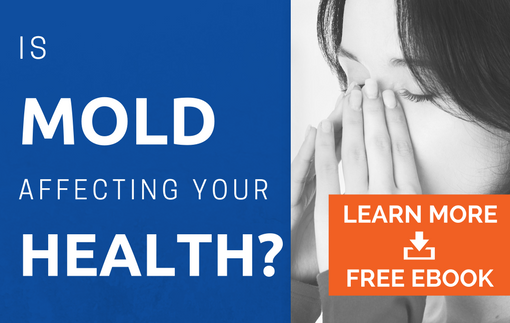 Mold: not the next asbestos.